It's hard to imagine, but winter has finally come to a close and it's time for those of us in the colder climates to start thinking about putting our Porsches back on the road. Personally, we're only about two weeks away from our first drive and it might be sooner if possible. 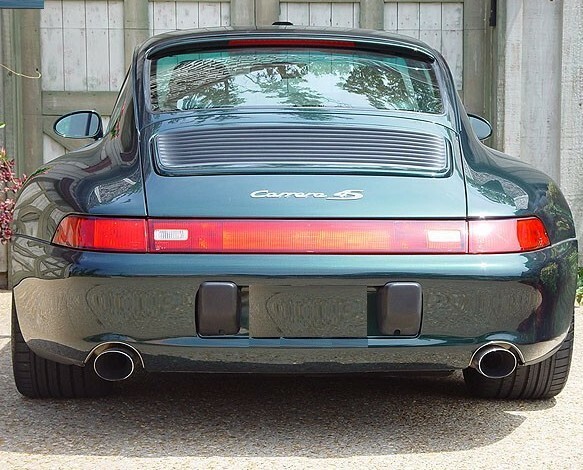 When we first started this site it was named 993C4S.com after our favorite air-cooled Porsche. As the site has grown and gone through a number of changes, so has the audience. The Spring Start-up procedure listed below, while specific to a 993, can apply to almost all Porsches (outside of a few specific points). What we want to know is what specific start-up procedures do you go through for your particular Porsche? Is there anything specific to a 944 spring start-up? How about a 356 (other than turning the crank) 🙂 We would like to expand this section to include procedures for each individual model but need your input to do so. We look forward to hearing your thoughts. Most people are familiar with the process for getting their Porsche ready for winter storage. However, in our excitement we might not remember that there are certain steps, for both safety and mechanical reasons, that we should follow when putting our Porsches back into service after any long-term storage. Do a quick walk around: Visually inspect the car, the tires, the lights, the interior, etc. Make sure nothing went flat, no cracks developed in any visible gaskets or lights and make sure you had no unwanted visitors build a nest in your tailpipe or anywhere else for that matter. Look under the car for any signs of new leaks that may have developed during storage. Battery: Hopefully you had some sort of Battery Tender " on you car during its storage. Not only will this ensure a smooth spring start-up, it will greatly extend the life of your battery (especially in a 993). Remove your batter tender and test it to make sure it has a full charge. Tires: Even though you did a quick walk-around, go back over your tires. Check the air-pressure (I use this style Porsche Tire Gauge as it came with my car, but any accurate gauge will do). Chances are you over inflated them for winter storage. Now, while the tires are cold, is the best time to adjust inflation back to proper levels. Look for any cracks in the sidewall or treads. Check for flat spots. Lubrication: Remember, your Porsche has been sitting for a long time. This means the oil has mostly settled and those delicate moving parts might not have enough protection on them. Prior to starting the car simply remove the DME or fuse that controls the fuel pump, and turn the car over a few times. You want to do this long enough to bring the oil and fuel pressure up. Once the pressure is up, replace the DME or fuse and start the car. Fire it up: If your Porsche was properly stored for the winter and you follow the steps above, your car should start with no problems. Once running, turn on the lights and blinkers and do another quick check to make sure all the electric systems are running. Hop back out of the car for one-last walk around and make sure you don’t see any new leaks now that the car is running. Test Drive: Roll your Porsche forward, test the brakes and take it out for a 20 or 30 minute drive around your neighbor hood. Be sure to take it slow at the beginning and let your Porsche come up to full operating temperature. I try not to bring my Porsche over 4000 RPMs until it is at full operating temp. Be sure to take a cell-phone with you in the unlikely event of a problem. Final Check: Do one final walk around. Check again for any fluid leaks. Check all your fluid levels. If everything is good to go, you’re done. Take the car out and enjoy. Does your spring start-up procedure differ from mine? Let me know what you do differently or what you would add to the list? nice overview , some great tips here. brookstone makes a great tire pressure gauge. I use this one all the time. Does anyone know where I can purchase an OEM WHITE CASE Porsche battery for my 1983 944? I would also open the trunk and the garage door while conducting steps 1 through 4 to let any possible Hydrogen gas dissipate. Actually in all honesty, last time I stored my 993 for the winter I was so excited to get her back I skipped steps 2, 3 and 4. Good recap of Spring first steps to finally bringing the car out for a spin. I don’t have that problem anymore as I am currently in South Florida, but have been considering a move up North and might need to refer back to this in the future. Here is my start-up procedure for my 01 996 cab in Houston – (1) check calendar to see if it is March; (2) remove hard top and store until November; (3) test the soft top. While this sounds simple, be sure you lubed the soft top operating mechanism, before you stored it in the “down” position for an extended period of time. If the operating arm joints dry out, you can have moderately expensive repairs the first time you put it up. Thanks for the helpful reminders. Here are a few additional tips that I have added to my start up check list for a 944, but apply equally to all Porsche models. 1. I like to plug up my exhaust pipe because of the possibility of mice nesting in it over the winter so I have a “Remove Exhaust pipe plug” on my list. 2. I also have placed a cardboard pad under all of my wipers that has to be removed. It has extended the life of my wipers. So the “Remove wiper pads” is also on my list. Removing the fuel pump fuse is overkill. Just don’t rev the engine — start and idle for a few minutes to fully circulate oils. The stress on the engine parts is low at idle and oil will begin to circulate in a matter of seconds. Then drive at low revs (below 2,500, but not lugging below 1,500) until fluids come up to operating temperature or about 10 minutes. One other thing I always do is open up the air box on both the 928 and the 944. It seems no matter where they winter over, even in a clean garage, I have found acorn shells and even nests sitting on top of the air filter. One time I found a nest made from the fiberglass insulation stolen from my garage wall. I would add a cross-check on the tire pressures. Winter temperatures, simple out-gassing and leaky stem values all contribute to lower than normal tire pressures at start-up after a long winter’s nap. .